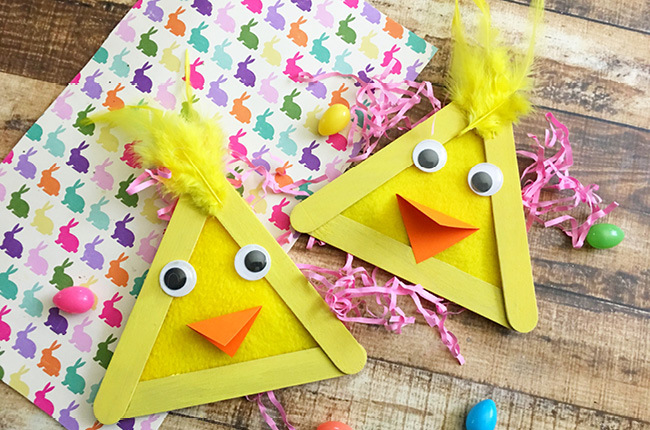 Easter is right around the corner so it is time to get our Easter craft on! 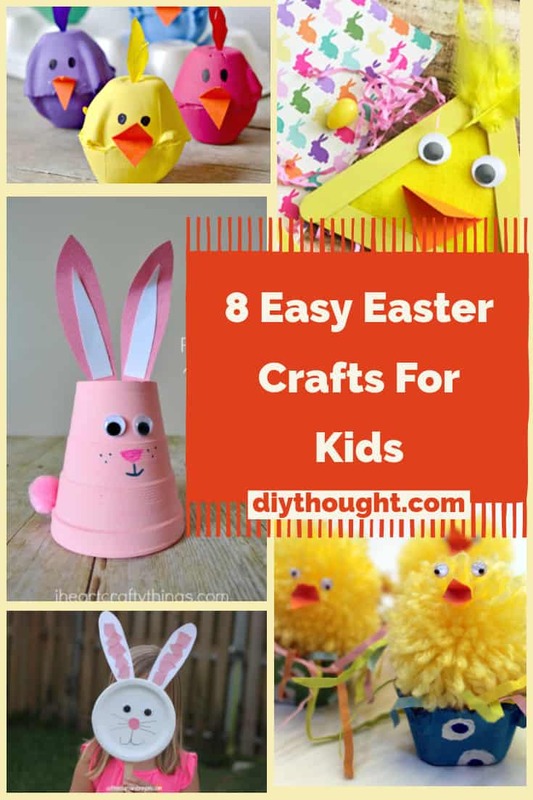 These 8 Easy Easter crafts for kids are simple enough for younger children to do with some help but still lots of fun for older children. 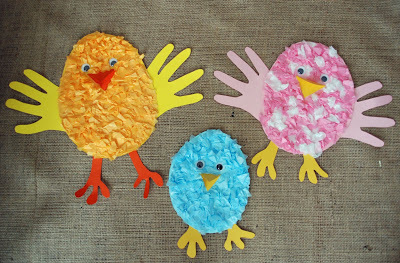 All of these crafts are lots of fun to make and will keep children busy over easter! Transform a foam cup into a cute bunny. 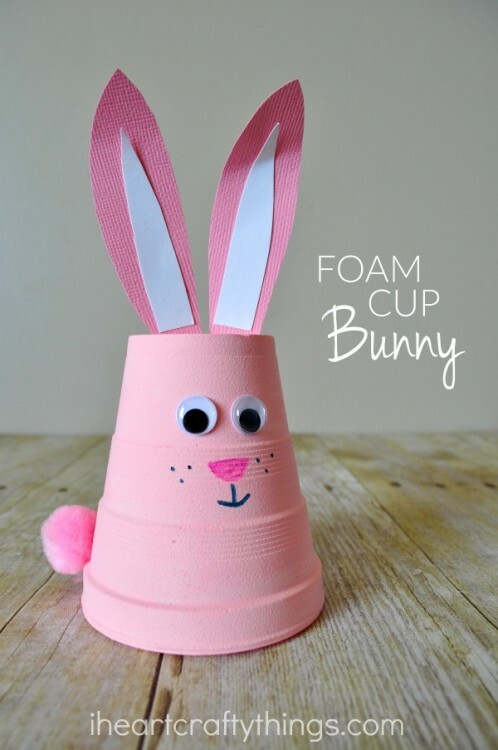 A family of foam cup bunnies in different colors would look lovely as an easter display. Follow this link to find out more. 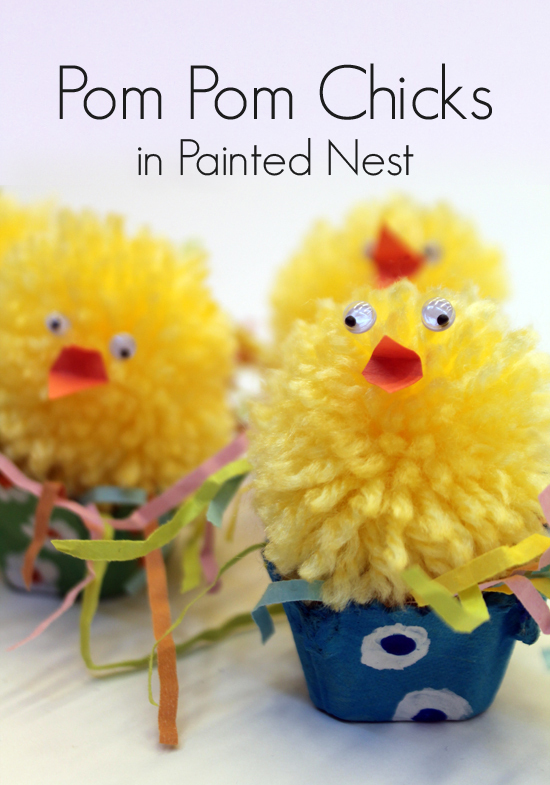 Not only do you get to make a cute pom-pom chick but also a painted nest from an egg box! This craft activity will keep the kids busy for some time and it won’t get boring as there are lots of different fun components. Click here to find out more. 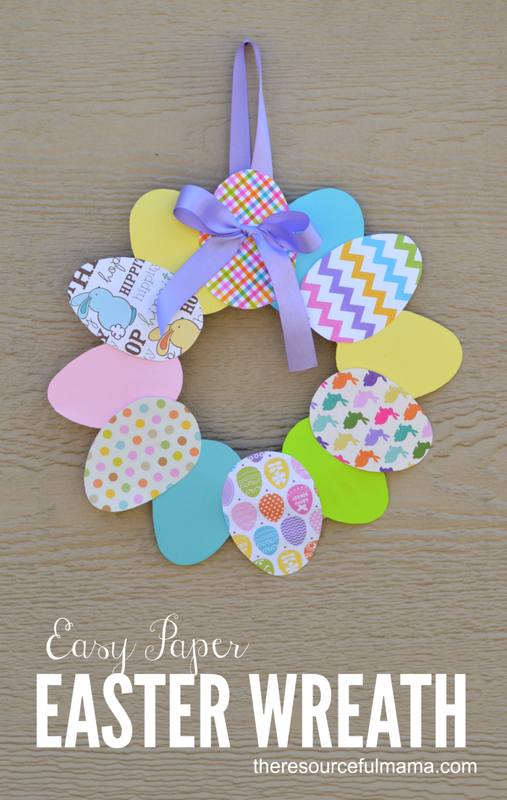 This easy paper easter wreath is the perfect way to decorate your house this Easter. Great for children to practice their scissor skills (young children with lots of help and supervision) and they will love sticking the paper eggs onto the paper plate. Find out how to make it here. Painting with bubble wrap is lots of fun! 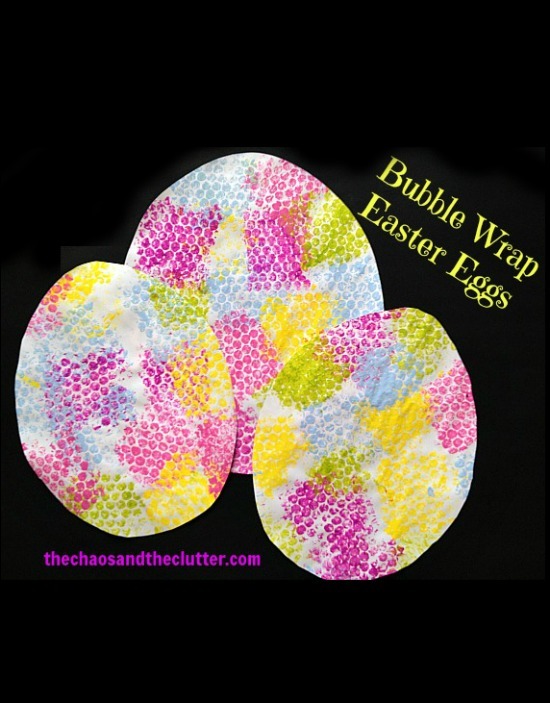 Children will want to make lots of these bubble wrap eggs and would look great on the front of an Easter card. Click here for the full tutorial. The wings are made by tracing around a hand and the chick body from tissue paper. 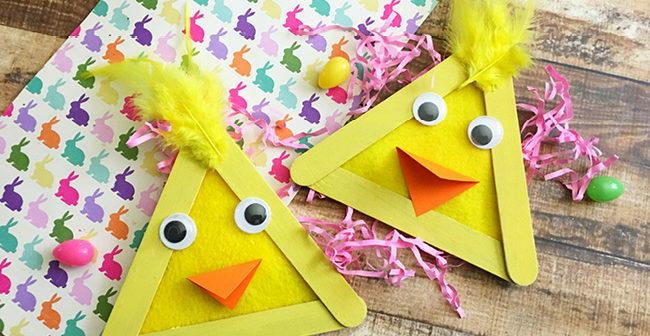 This is one fun easter chick craft! Follow this link to find out more. Save an egg carton to make a family of cute spring chicks. 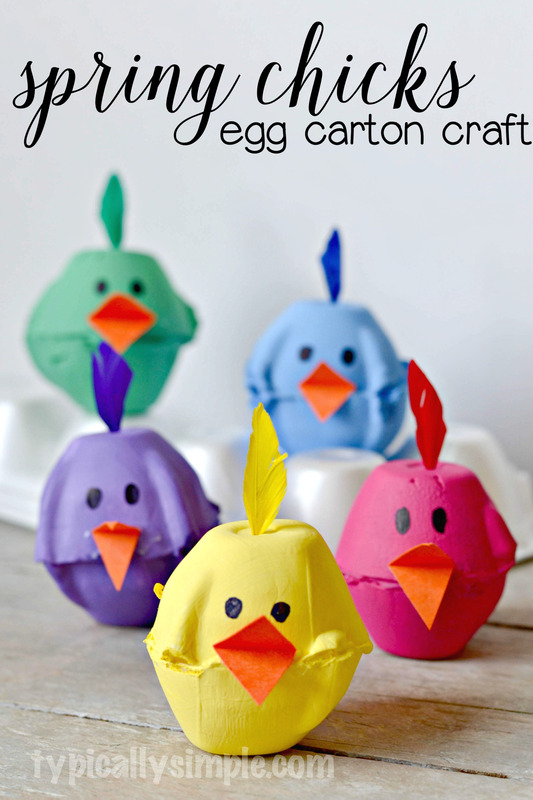 Egg carton animals are so much fun and these chicks are an easy Easter craft which children will love! Click here to find the full tutorial. These popsicle stick chicks are totally adorable and super easy to make! Find out how to make them by clicking here. 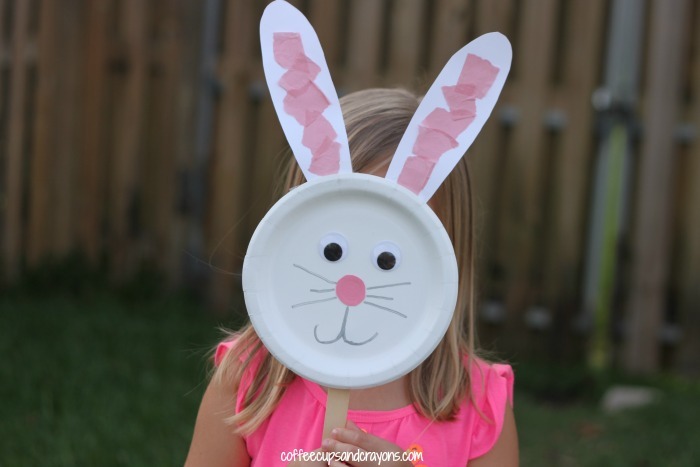 This paper plate bunny is fun to make and fun to play with after. Follow this link to find out more.